Drawing up a will is essential if you want to leave property to your family, close friends, charities or any other beneficiaries. Wills must have an executor, the person you choose to carry out the terms of your will and transfer assets to your chosen beneficiaries. Whether or not the executor is an experienced legal professional, compensation for this often-difficult task is customary. When you draw up a will, you name an executor to carry out its terms. In some states, the executor is also known as a personal representative. The executor is responsible for submitting the will to probate court, if probate is necessary, and handling the estate's assets, debts, and bequests (the transfers of property to the beneficiaries). If you set up a trust, your executor or trustee may be able to avoid probate court. In cases where there is no will, the probate court will appoint an administrator to handle these duties. For executor fees, state probate laws typically set forth the rules and guidelines. These laws vary from one state to the next; the standard fees are usually set as a percentage of estate assets, up to a statutory maximum. The local rules of court in the county where you probate the will may also set a maximum executor fee. Law firms, banks and financial advisers that routinely serve as executors of estates often have their own schedule of fees that conform to state law. In the case of very large estates, the beneficiaries can sometimes negotiate this fee with the appointed executor. If the state does not set the executor fee, or if the executor does not agree to work within any local guidelines, the beneficiaries will be responsible for negotiating the fee. Important considerations include the size of the estate, the number of beneficiaries and where they live, and any legal issues, such as disputed claims on estate assets. Executors have a heavy responsibility even with simple and straightforward estates, and beneficiaries should consider the considerable time and attention the job entails. An executor who withdraws from this responsibility will cause further delay, and the search for a new executor might bring about expensive probate litigation. 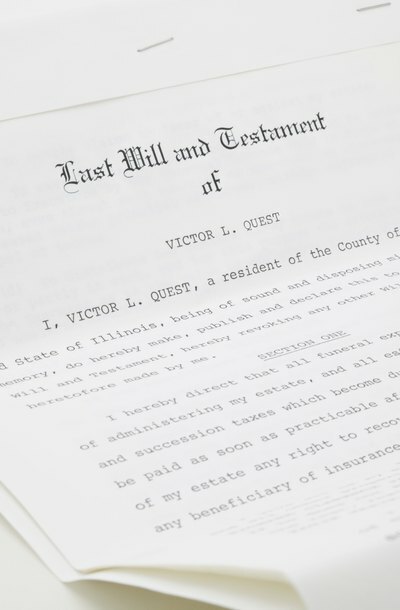 Some states, such as New York, have established executor fees as a percentage of the estate's value, after subtracting specific bequests to individuals. When there are two or more appointed executors, the will should specify the responsibilities of each; otherwise the probate court will make this decision. Many wills appoint alternate or successor executors who take on an executor's responsibilities if the principal executor is unable or unwilling to do so. The fee for the executor may be specified in the will; the testator who drew up the will may also replace the fee with a bequest from the estate. Recent court decisions have held that executors or administrators are entitled to an advance payment before approval of the fee by beneficiaries or by the court. For a variety of reasons, executors may waive their fee.